Only five years ago, Tia was desperately in love with a man she was sure loved her back. When Nathan found out about her pregnancy, however, he left her, imploring her to get rid of the baby. Unable to bear aborting Nathan’s child, but also unable to imagine herself as a competent mother, Tia settled on adoption. Now, when the latest set of pictures come in from her child’s adoptive parents, Tia cannot help by think of Nathan, and the fact that he knows nothing about their daughter. On a whim, she decides to copy the pictures and send them to Nathan, where they intercepted by his wife, Juliette. Juliette had, somewhat, forgiven Nathan when he confessed his affair, but learning that he has a daughter is more than she can handle. Desperate to see this little girl who is part Nathan, Juliette searches her out, and finds her adoptive mother, Caroline. Caroline is just as – or perhaps even more – damaged as Tia and Juliette; she is a deeply introverted person who glories in her research-based career. Interacting with a young child is simply not natural for Caroline, and although she loves her family, she worries that she is constantly failing as a wife and mother. By opening with Tia announcing her pregnancy and Nathan immediately leaving her, Meyers makes her story immediately engaging, while also providing the perfect set up for the novel as a whole. Everything that happens in The Comfort of Lies stems from this very moment, and Tia’s subsequent decisions to have her baby and give her up for adoption. I loved the way Meyers brings all three women together through one act of infidelity and one little girl. She does not pretend that things will be easy between these women, but writes interactions tinged both with real emotions and with grace. 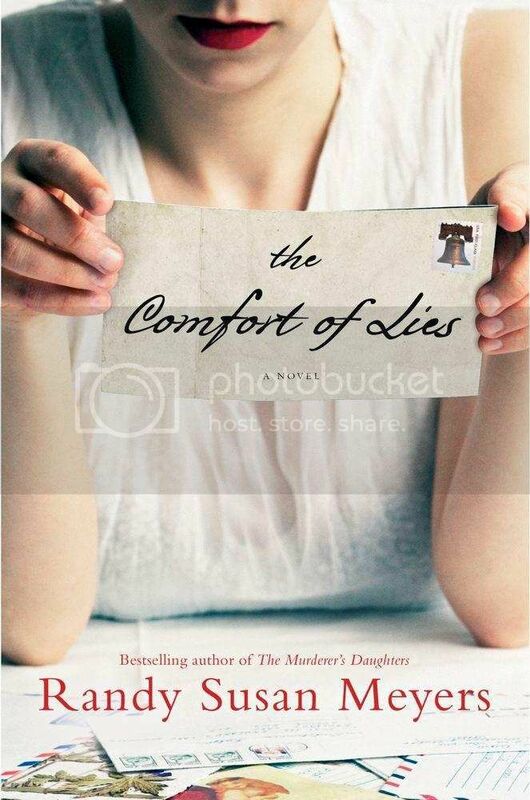 The Comfort of Lies is a beautiful book about the things that tear us apart and how they can bring us back together. Recommended. Yes, THAT Molly Ringwald. Don’t make the mistake I nearly did, though, and discount the book on the basis of her celebrity. I will fully admit that I initially dismissed When It Happens to You. IT was serious book snobbery, I assumed that someone primarily famous for her acting didn’t have much in the way of writing chops. Luckily Eleanor Brown, author of The Weird Sisters, spent some time raving about When It Happens to You on Facebook and Twitter. As I trust her reading recommendations, I decided to go ahead and pick it up and give it a shot. I knew within pages that this was the real deal. When It Happens to You is a novel in stories revolving around a couple in the midst of a marital crisis. Greta and Phillip Parris have been growing increasingly more distant in their furious attempts to have a second child. Not only is their marriage faltering, but their daughter Charlotte is acting strangely, particularly around her pretty young violin teacher, Theresa. Before long, the reality of infidelity tears their family apart. 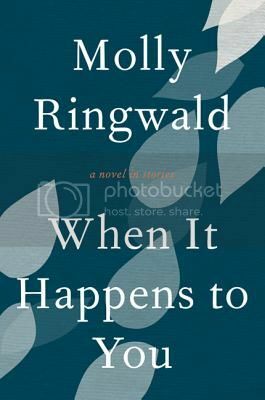 Instead of walking through the guilt and recriminations with the Parris family, Ringwald takes the reader through Greta and Phillip’s story by telling the stories of those around them. Occasionally one of them is the main character in a give story, but more often it is an acquaintance, a lover (although never the lover who sparked this crisis), or a neighbor. The most affecting story is that of Charlotte’s best friend and his mother Marina, titled My Olivia. Ringwald manages to completely subsume the reader in Marina’s life and psyche in just 30-odd pages. In fact, all of Ringwald’s characterization is stellar, which helps the reader connect in some way with each and every character in the book. When It Happens to You is a wonderful book, almost achingly good at points. Ringwald’s prose, plot, and characterization all work together create one of the best collection of linked stories I have read. Twenty years into their marriage, Alice and William Buckle are more like roommates than lovers. With all the energy that she isn’t putting into her marriage, Alice has a tendency to over-analyze her children’s lives: the son she is sure is gay and in the closet, the daughter she is positive has an eating disorder after being dumped by her boyfriend. It is only this involvement in her children’s lives and throwing herself into her part-time job teaching drama that keep Alice from realizing just how dissatisfied she is. Then in her spam folder, Alice finds an invitation to participate in an anonymous online marriage survey where she is assigned the pseudonym Wife 22, and paired with Researcher 101. As Researcher 101 begins to ask Alice questions about her life, marriage, and courtship, she simultaneously remembers how wonderful her relationship with William was once, and realizes how lacking it is now. Told through emails, Facebook status updates, Google search results, the marriage study questionnaire, and more traditional prose, Wife 22 is a completely and utterly absorbing book. Gideon has a gift for drawing readers into her characters’ lives and eliciting empathy, regardless of how closely – or not – personal circumstances align with those of the characters. Alice is at times frustrating and is certainly not without her own faults, but she is incredibly sympathetic and understandable. 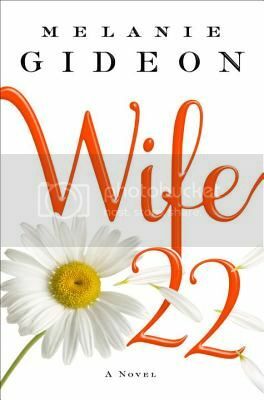 In addition to the characters who are so realistic and easy to relate to, the format of Wife 22 kept the pages turning. The emails, Facebook status updates, and Google search results are very wisely and judiciously used, so that they add to, rather than detract from the story Gideon is telling. Even more impressive, though, is the use of marriage survey questions. We see only Alice’s responses, and not the questions that Researcher 101 has asked. This is initially disconcerting, but quickly becomes almost addictive, as the reader interprets what she is answering. The questions are included as an appendix at the end of the book and it is hugely instructive to go back after you have finished reading to see exactly what she was answering with every question, but keeping them out of the flow of the story ends up adding a lot to the development of Alice’s character. Wife 22 is smart, witty, and engaging. I became so lost in Alice’s story that I finished the entire 400 page book in only 24 hours. This story of love and relationship is not to be missed. Very highly recommended. Ginny and William Owens have been enjoying their quiet house, but they are thrilled when their daughter Lillian brings her young children for a visit. Even so, things don’t seem quite right, with no sign of Lillian’s husband Tom who, Lillian is hiding from everyone, recently cheated on her. Not that there is much chance to dwell, when their son Stephen and his pregnant wife Jane show up unexpectedly and are forced to stay when Jane is ordered to bed rest. As if the house isn’t crowded enough with five adults and two children, the Owens’s youngest child Rachel shows up, her life similarly in tatters. The Arrivals could have easily been one long pity party, in some ways it was one tragedy piled on top of another. Money problems, infidelity, high-risk pregnancies, all happening to a single family in a single summer. And yet, the love of the family and the way they interacted, together with Meg Mitchell Moore’s gorgeous prose combine to create a cohesive and moving novel. The Arrivals is beautifully written, a must read for people in all stages of life, for anyone to whom family is important. Highly recommended. At one time, I swore off short stories, at least to review. They are always so uneven and difficult to talk about comprehensively. And then I had a chance to talk to Amy Einhorn, the publisher of an imprint I adore at Penguin, and she told me about this short story collection she would be releasing called “You Know When the Men are Gone.” She told me that short stories don’t usually call to her, but these did, and she found herself more captivated than she would have expected by the stories of men and women whose lives are touched by enlistment in the Army, men and women who live at Ft. Hood in Texas – at least when they are not overseas in Iraq. Short stories about army families. The concept doesn’t immediately grab me and demand to be read, but because of Amy Einhorn’s enthusiasm, I knew I wanted to try “You Know When the Men Are Gone.” If anyone else had published this, if I had not had a chance to sit down with Amy and hear her talk about it, I would likely never have picked this book up, it would not have even been on my radar. If that had been the case, my reading life would have been poorer for it. The passage above, located on the first page of the first story, stood out to me in particular, partially because it is the title passage from the title story. However, as I reflect back upon the book, it stands out to me again, not because it is the highlight of Fallon’s writing, but because it is indicative of the strength of this collection. The first story starts out strong, and stays strong, and the same is true of the rest of the stories. There always seem to be stories that are weaker than others in collections such as this, it is such a truth that to say so has become a cliche to mention it in a review. This is not the case for “You Know When the Men Are Gone.” I’m sure each individual will resonate with some stories more than others, but none of the stories can be denigrated as a weak link, all are incredibly well-written, and the character development is top notch. Story arcs are not rushed, but still come to a satisfying – if not always tidy – solution at the end of 30 or so pages. I read “You Know When the Men are Gone” over the space of a single day, even pausing between stories, making myself read something else or step away from the book for awhile, to make the experience last longer. At the end, however, I simply couldn’t keep myself from returning to it time and again, until I found myself at the end of the collection, and experiencing my first disappointment brought to me by Fallon’s book: that there are only eight stories. Source: Publisher, via a trade show.